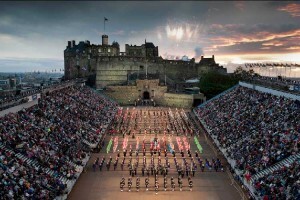 The iconic Edinburgh Tattoo is fast approaching. 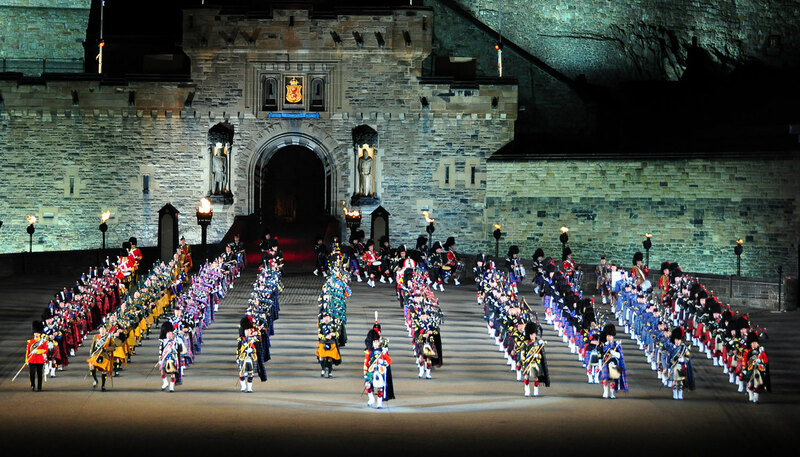 The 2015 Royal Edinburgh Military Tattoo will begin on August 7th and run until the 29th. The theme of this year’s event is East Meets West. The 90-minute production will showcase around 1,200 talented performers, many of whom are of Scottish descent — but the international theme promises acts from everywhere from Germany to Nepal. With Edinburgh Castle setting the scene, singers, dancers, pipers, and drummers will come together before massive audiences. 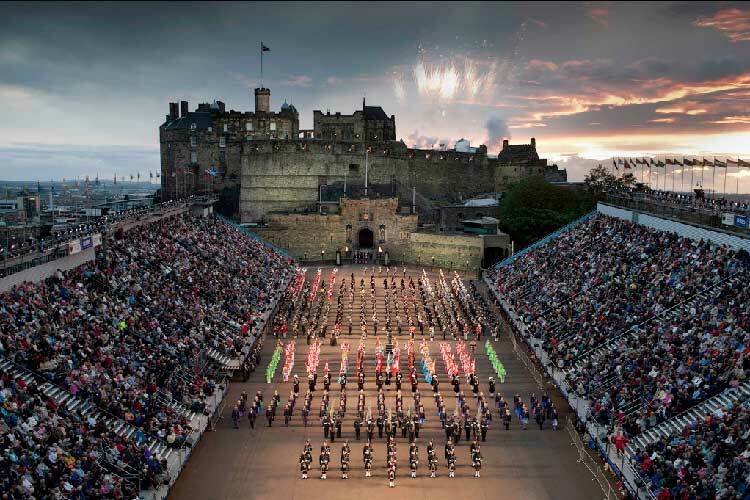 The 2015 Edinburgh Tattoo line-up includes Switzerland’s famous percussion group, ‘Top Secret Drum Corps,’ as well as the new addition of an appearance by the UK’s Royal Air Force. And for the first time, Charleston’s 70-piece Citadel Regimental Band and Pipes will travel from South Carolina to perform. Alongside the music will be a light display, illuminating the castle in color and complementing the sights and sounds on stage. Every show will end in a display of fireworks. A “Tattoo” is a ceremonial performance given by military musicians. They traditionally take place in the evening. “Tattoo” comes from the old term “tap toe,” which was a call for last orders in the tavern before soldiers were sent off to bed. The first official Edinburgh Tattoo occured in 1950. Since then, over 48 other countries have taken part. The audience is also always filled with international spectators. In the past 65 years, over 13 million people have attended the Tattoo. 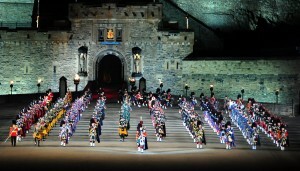 The Royal Edinburgh Military Tattoo coincides with city’s various summer festivals. 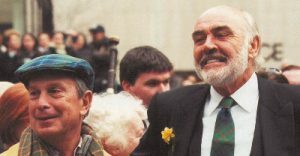 The Tattoo keeps Scottish flair and history alive, even as it celebrates international relations. Each August the city fills with excited tourists and locals alike. 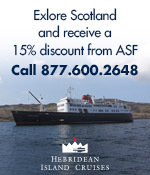 The annual audience is made up of around 217,000 people who are eager to experience the Scottish tradition. For more information, or to purchase tickets, visit the Tattoo’s official website. 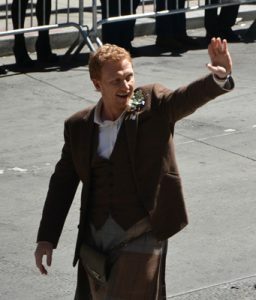 This entry was posted in Associate Events, Travel in Scotland and tagged Citadel Regimental Band and Pipes, East Meets West, Edinburgh Castle, Royal Air Force, Royal Edinburgh Military Tattoo, Top Secret Drum Corps on July 22, 2015 by Theresa Schilling. The American-Scottish Foundation asks our Members and Friends to consider a donation to the Gurkha Welfare Trust UK. The Royal Gurkha Rifles (RGR) is a rifle regiment of the British Army, forming part of the Brigade of Gurkhas. Unlike other regiments in the British Army, soldiers are recruited from Nepal, which is neither a dependent territory of the United Kingdom nor a member of the Commonwealth. This year, the Royal Gurkha Rifles celebrate their 200th anniversary of distinguished service to the British Crown. The Gurkha Welfare Trust is the main beneficiary of Gurkha 200. 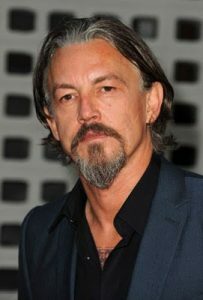 It will be organising a number of special events. These will include a Beating Retreat, Cocktail Party and special Dinner, at the Royal Hospital Chelsea, in association with the Brigade of Gurkhas in June 2015 to mark the occasion. Sadly, Gurkha pride in this remarkable milestone is offset by deep concern following the disaster in their homeland of Nepal. 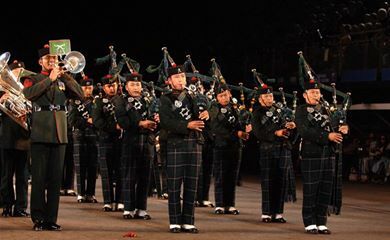 In August, many will see the 1st & 2nd Battalion of The Royal Gurkha Rifles Pipes & Drums as they perform at the Royal Edinburgh Military Tattoo. We keep them in our thoughts and hope we can assist them at this difficult time. 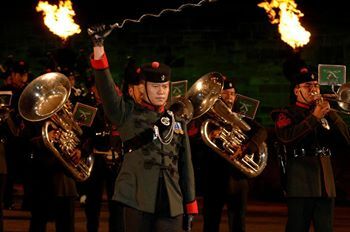 This entry was posted in Associate Events, News and tagged Brigade of Gurkhas, Royal Edinburgh Military Tattoo, Royal Gurkha Rifles, Royal Gurkha Welfare Trust UK, Royal Hospital Chelsea, The Royal Gurkha Rifles Pipes & Drums on May 9, 2015 by Sara Heegaard.